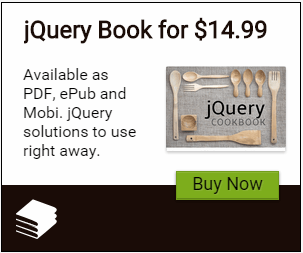 I immediately thought of doing this with jQuery. I had already written a similar script sometime back to Check/Uncheck all Items in an ASP.NET CheckBox List using jQuery. 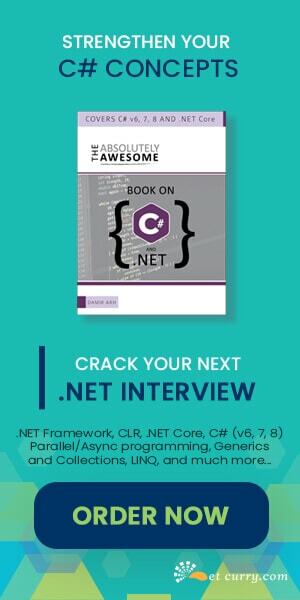 Using portions of that script, here’s how to Check UnCheck all CheckBoxes in an ASP.NET GridView using jQuery. <%@ Page Language="C#" AutoEventWireup="true" CodeFile="Default4.aspx.cs"
The jQuery code shown above finds all elements of the checkbox type inside the GridView and sets the ‘checked’ value of all items in it to true or false based on the checked value of the ‘ChkAll’ checkbox. The script also takes care of unchecking the ‘ChkAll’ checkbox, when one of the checkboxes in the GridView is unchecked. This part of the script was shared by Tim Hobbs. Does it handle few GridViews on one page and GridViews inside UpdatePanel? If you want to create a generic code for all GridView's, then you will have to use a selector for a class rather than an id. For eg: $("#GridView1 ..) will become $(".GridViewClass ...") where GridViewClass is the class applied to all GridView's you want to select. The same is for the CheckBox selection too. thanks :) So I will download the code (thx for that!) and test it a little bit. If there is more than one checkbox in a row[for other requirement] the above code will check it as well.. I've tried this, but it doesn't seem to work because my GridView is in a UpdatePanel. Any ideas?? I will work on the example to make it work with an UpdatePanel in a day or two. Any update on having the js script work with UpdatePanel?? can you provide code that will check the "checkAll" check box when all checkbox in the gridview are checked? for example, when you uncheck one of checkbox, the "checkall" is unchecked, if i re-check the one i unchecked, i want the "checkall" to be checked. It should be noted that this example may not work as it currently stands. I know for experienced developers this isnt an issue, but if you use this in a master page, if you have ASP.NET 4.0, change the gridview's clientid mode to Static. Previous versions would need to find the id in the source code, and change #GridView1 to something similar to #MainContent_GridView1, with MainContent being the ContentPlaceholderID. Good sample, thanks. Works like Charm!! Thanks alot...it was not working in IE when I placed Script in HEAD section. Then I moved code to BODY it is working fine. But it works fine in either way in Chrome.. THanks any ways! !